If there is one thing parents don’t forget to teach their kids, it is respect. Obviously, this dude did not take that lesson seriously. 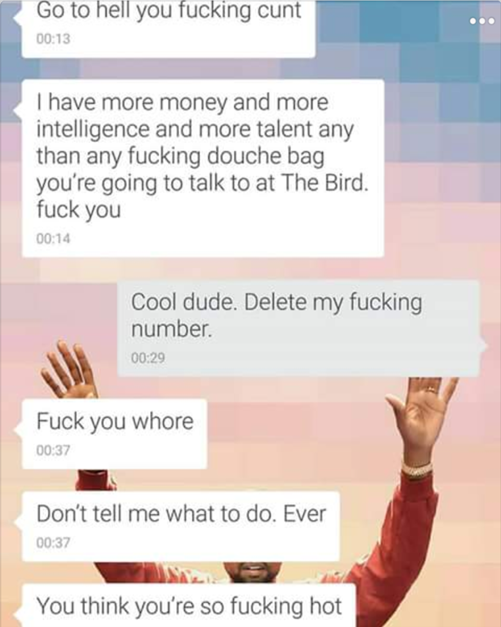 Talking about how a girl rejected you on social media is something. More so, if that girl just took her own life. 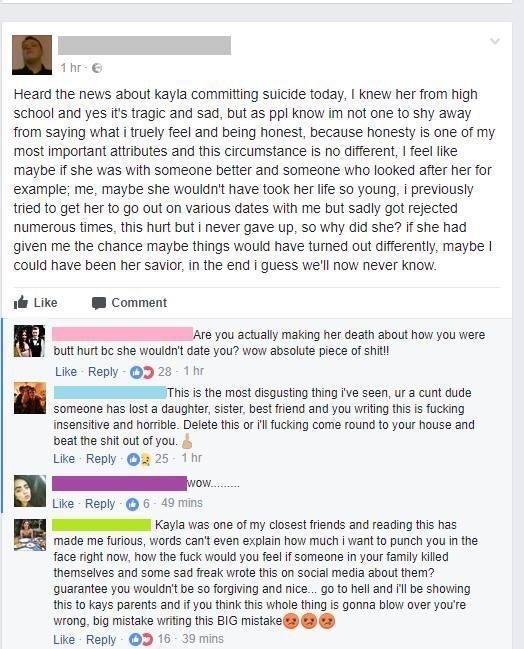 Instead of sympathy for the girl who committed suicide, he turned an upsetting event about him. 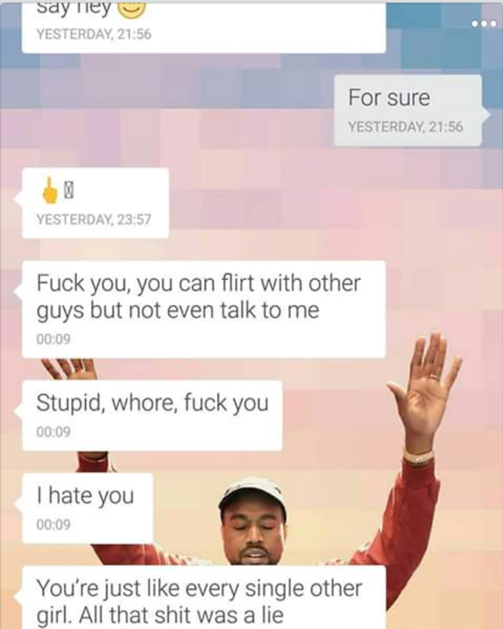 Apparently, he did try to woo her several times, but no success. Now, he wants the world to how he could have been her “savior” if she just yes to him. It takes a real scumbag to post something like this. Have you ever think of keeping what you feel and your “most important attributes” to your self? No wonder, she turned him down despite his numerous efforts to date her. It wouldn’t surprise me as well if this dude has no followers on Facebook after this. If this dude intention is to tell his Facebook friends that he could have saved the girl’s life if she did not reject him, the people who left comments on his post didn’t think so. Everyone is furious and blasted him for being insensitive and scumbag. Some even threaten to beat him. Check out his Facebook post here. Unfortunately, this guy is not alone. Scumbags like him are everywhere on the internet these days. Take this guy for example. It doesn’t take much effort to fire him up. He loses his cool really quick. He also made sure that girl he was talking to understand what she is losing while bragging about being the coolest in school. Check out how he had a meltdown just like that. Probably, she finally realized she is not losing any with this dude.